The Soil Hydrology of the United States Web Map Application brings some of the most important hydrologic soil properties together in one map. Find hydrologic group codes for hydrologic and hydraulic models. Find hydric soil information to determine wetland land classification. Find depth to the water table for groundwater analysis and well drilling operations. Hydrologic group code, A, B, C, or D, or a combination of these. Hydric soil presence: All, partly or not hydric. Drainage class by the soil map unit’s wettest soil component. Drainage class by the soil map unit’s dominant soil component. Flood frequency by the soil map unit’s maximum soil component. Flood frequency by the soil map unit’s dominant soil component. The percentage of the soil map unit that is subject to surface ponding. Distance to bedrock from the surface of the soil. Depth to water table, during a year and during the growing season. When creating maps on ArcGIS Online, a little time spent formatting a popup goes a long way. It’s advised to spend time thinking about the purpose of the map in order to facilitate the understanding of information by the map reader. In the case of soils, enabling a default table list popup does not help the map reader. He or she will see a list of 50 attributes and will have to sort through them just to find data values. And that is just the beginning, he or she will then have to figure out what the values mean. 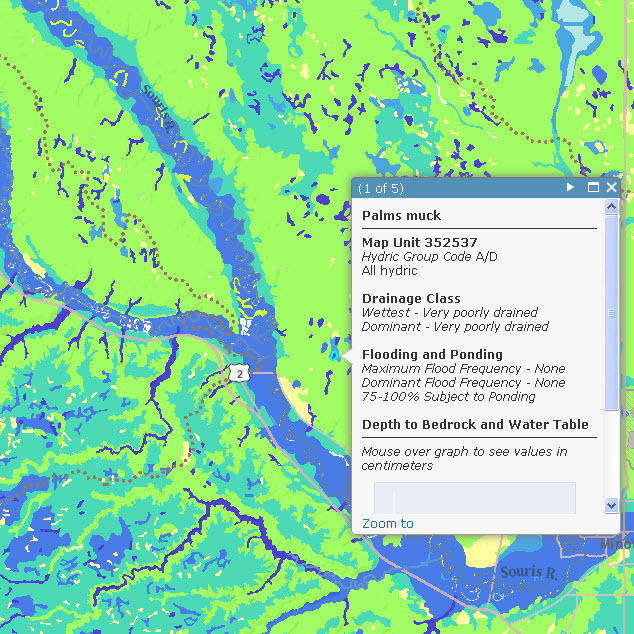 The Soil Hydrology of the United States Web Map Application makes it easy for users to find the information they need, and also make sense of it. Michael Dangermond has over 25 years experience in GIS in such diverse fields as cartography, agriculture, international boundary delineation, environmental protection, regional planning, park planning, land and wildlife conservation, and forestry. 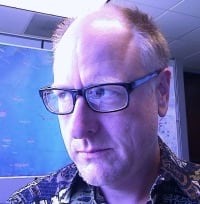 He has been working for ESRI since 2010.